A 10-year war between Mycenaeans and Troy. It is supposed to have began because the beautiful wife of a Greek king was promised to a Trojan prince by Aphrodite. The prince kidnapped her causing the Greeks to then decide to win her back through a war against Troy. In the end, the Greeks built a hollow wooden horse big enough to fit soldiers inside. The people of Troy thought it was a peace offering, but at night the Greeks jumped out with a surprise attack and won the war. This proved Greece had amazing strength and skill. 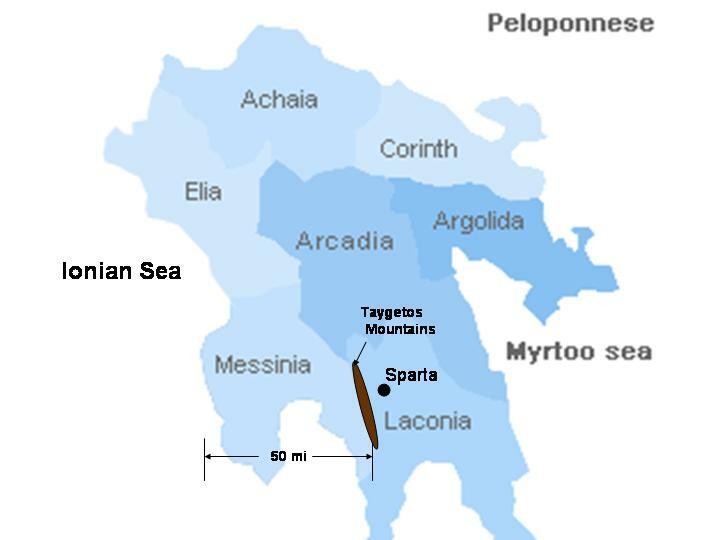 Sparta conquered the land of Messenia in 725B.C. They governed them very harshly and made the Messenians into helots. The Messenians despised how they were treated by Sparta. Their hatred caused them to revolt. Sparta was outnumbered and barely won against the Messenians. The fear of another revolt caused Sparta to strengthen their city-state and army. A military formation in which the soldiers line up shoulder to shoulder. The people on the outskirts hold shields and short spears. The people in the middle have long spears. The whole formation walks to a beat. This formation is hard to penetrate and is unseen by Persia. It protects and helps the Athenians. Persia wanted to conquer the Greek city-states in Anatolia. Athens decided to send enforcements to the city-states, and help them defeat Persia. Persia had a lot more people than the city-states' army, however, many more Persians died than Athenians. 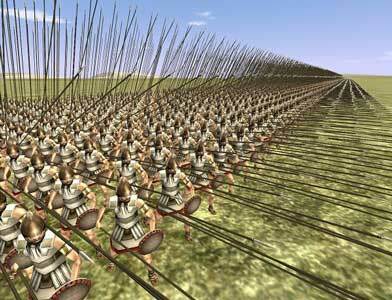 Athens used the phalanx which Persia had never seen before. This and the Athenian weapons helped Athens defeat Persia. Darius III, emperor of Persia, is shocked he did not win the war against the Athenians. He dies of devastation. His son, Xerxes, becomes the new emperor of Persia. He wants to avenge his father's dead and invade Athens. He spends about a 10 year period assembling a huge Persian army. Persians travel through Greek land to avoid water. Many city-states on the way support Persia out of self-protection. Others join Athens. The Persian's amount of people over bears the Athenians. 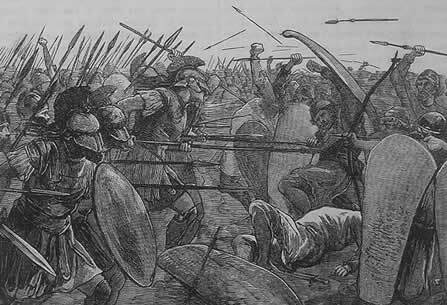 300 Spartans make a sacrifice to stall the Persians for 3 days while the Athenians prepare for war. The Athenians position themselves into a naval battle in the island of Salimis. They forced the Persians into the water passage ways around Salimis, where they were unable to navigate. The Athens knew these tunnels and they were victorious in the end. 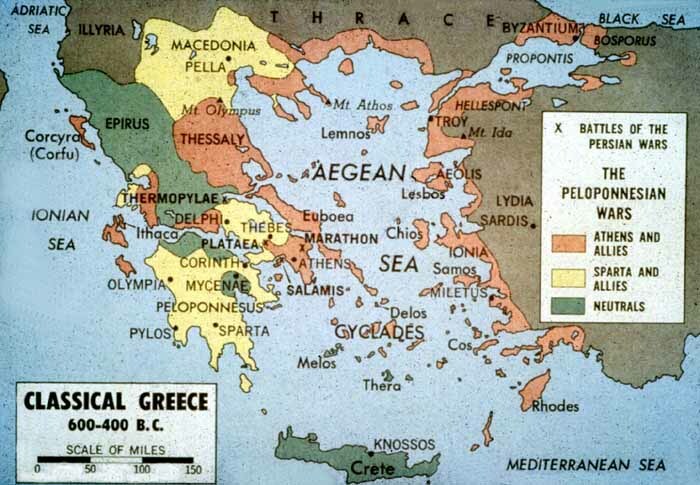 From the war's success, Athens became leader of the city-states. They became more confident and grew in wealth. They also became the leader of the Delian Legue, an alliance between the Greek city-states. However, Athenians began to form an ego and to tax city-states, like Sparta, a lot of money. 470 B.C. - 322 B.C. Socrates, plato and Aristotle are all Greek philosophers. Socrates taught people to examine themselves and focus on individual actions. Plato encouraged people to not only examine themselves but also other events and people. He also came up with the idea of a meritocracy. Aristotle gained knowledge using logic. He created the scientific method and syllogism using human reason. Aristotle was also hired to tutor King Philip II's son, Alexander. Athens power and wealth gained from the war caused many city-states to resent them. There was a very strong bitterness between Athens and Sparta. Sparta declared war on Athens. The Athenian strategy was to avoid land battles and wait for Sparta to come to them on the sea. Sparta's strategy was to invade Athens and burn their food supply. Soon after the war began an epidemic hit Athens, killing a great amount of the population. There was a brief truce between the tired city-states in 421 B.C. Six years later Athens designed an attack on one one of Sparta's greatest allies, Syracuse. Their plan did not go as planned and Sparta crushes Athens. Athens surrenders in 404 B.C. 359 B.C. - 336 B.C. When Philip became the king of Macedonia, he began to build an amazing army. He made Macedonia's peasants into a qualified army. He also created a military formation involving phalanxes with 16 men across and deep, all holding long pikes. This formation helped him crush their enemies. With his new army, Philip prepared to invade Greece and conquer Persia. His army defeated the Greeks, and Philip took away their independence. King Philip was killed at his daughter's wedding by one of his old gaurdsmen. 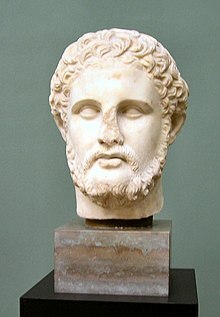 Alexander became king after his father's death. He decided to carry on his father's plan to defeat Persia. He invaded Anatolia with 35,000 men and crushed Persia's defenses. The King of Persia, Darius III, then built up a huge army. Knowing he was outnumbered, Alexander focused on Persia's weak points and went straight for Darius. Alexander won and then went on to conquer the whole entire Persian empire. Alexander soon controlled all of Persia, Babylon, Susa, and Persepolis. After reaching the Indus Valley and going back home, Alexander began to design ideas to improve his empire. However, nothing was made of these plans. Alexander soon became ill and died a few days after he caught a fever. People were devastated by his death because Alexander seemed to be one of the them. He fought with them, received no special treatment, and called his fellow men at war comrads. After his death, Alexander's empire divided into 3.